OK…this is a little off topic but it does have something to do with my home so I guess it’s fair game. You know when you find something so awesome that you just need to sing it from the mountaintops? Well, Sue at Home is my mountaintop so here goes. I have found the best cleaning product on the planet and I just needed to share it with you. That bucket under your sink is asking you to get: Barkeepers Friend. Listen. I know that this stuff is available at Target (or online here) so it’s not really underground or anything but it’s so glorious that pop stars should be singing songs about it and since they’re not, I’m going to sing it’s praises myself. So, get thee to thy Target and pick up a can. Then you can do the little jig of joy yourself. I recently discovered magic eraser for the BATHROOM. I know I know. It’s been around for ages. No siree. 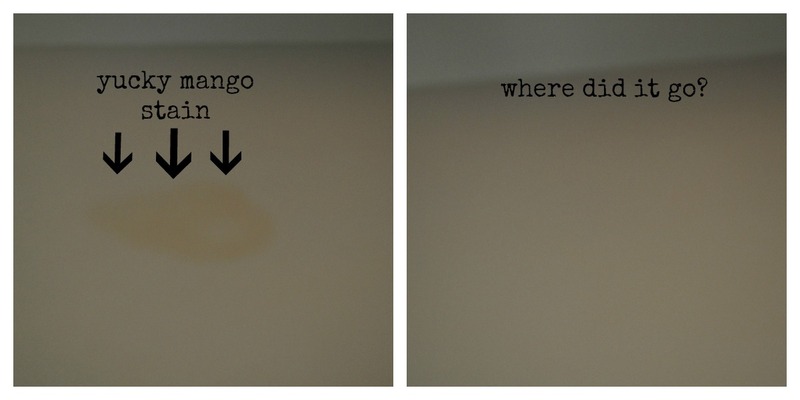 Hard water on the bottom of my glass shower doors that I squeegee after every shower but it still shows up anyway….GONE. I’ve tried everything. Glad u found a keeper! Thanks for the tip Cheryl! I use it on marks on the walls but I never thought of trying it for the bathroom. Isn’t it soooooo fulfilling when you finally see a stain coming off that has plagued you for so long?